You are here: Home / Great Deals / Fish and Chip Salt and Pepper Shakers Only $5.99 Ships FREE! 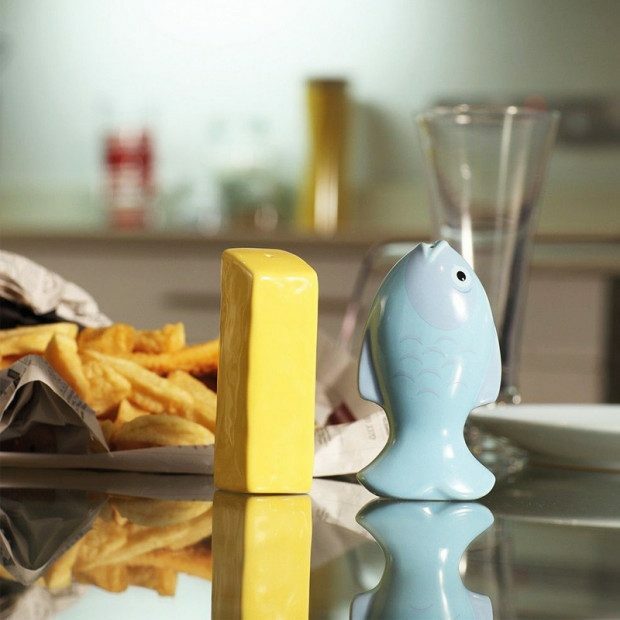 Fish and Chip Salt and Pepper Shakers Only $5.99 Ships FREE! Order the Fish and Chip Salt and Pepper Shakers for Only $5.99! Ships FREE! Ahhh, the classic combination…the Romeo and Juliet of the food world – fish and chips! Pay homage to the ultimate in British cuisine, with this awesome salt and pepper shaker set!